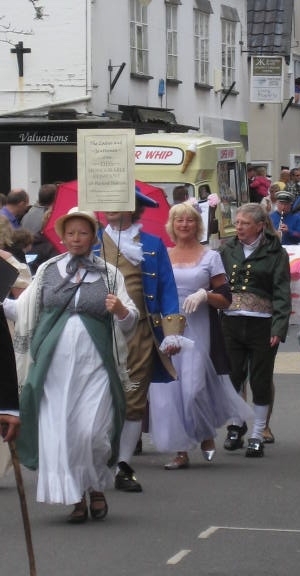 We have been organising dance classes in Diss since February, and entered a walking procession and demonstration of Playford Dance at the carnival. 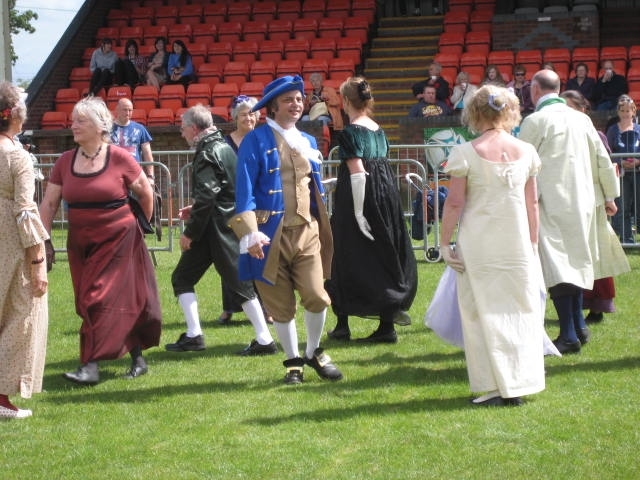 Under the name ” The Diss Honourable Company of Dancers”, we performed several Jane Austen-style dances. The dance group has really been having fun, but we felt this was quite an achievement as well for a group that has been dancing together for such a short while.